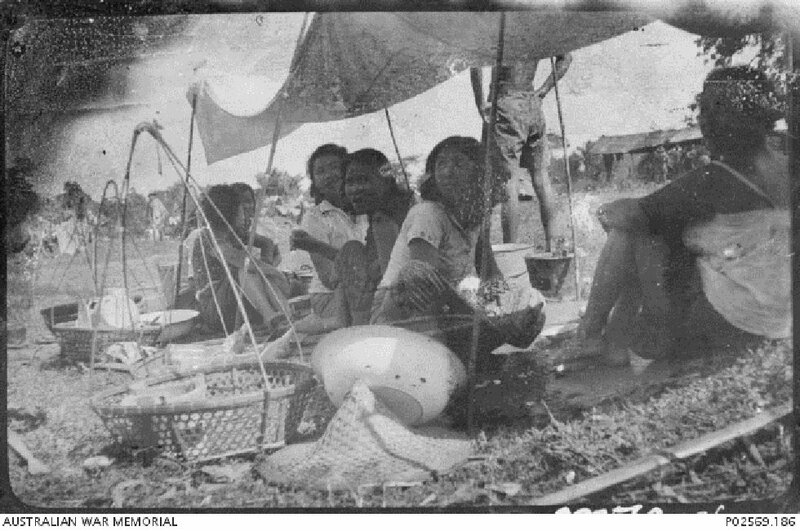 Thai food vendors offering food for sale to members of the POW group "F Force" who endured an enforced march to work on the Burma-Siam Railway. Image taken 1943, courtesy of George Aspinall, Australian War Memorial. 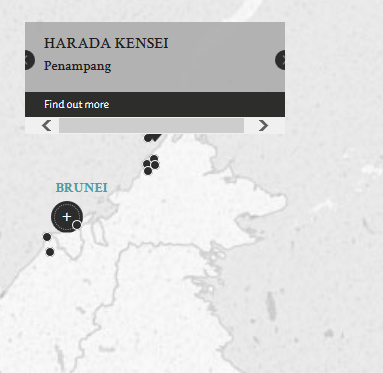 The defendant, Captain Harada Kensei, was the Chief of the Kempeitai section at Penampang, British Borneo (present-day Malaysia), which was renamed Api after the Japanese conquest in 1942. Harada was accused of unlawfully ordering the execution of eight civilians. The victims were suspected to have sympathised with the Allied cause, or actively participated in anti-Japanese activities. Harada was found guilty of all three charges against him and sentenced to death by judicial hanging. Harada, Kensei. Captain. From Japanese military. From Japan. Guilty. Death by Hanging. Sentence confirmed. Bains, N.S. Major. From British Indian Army. LLB Advocate in India. Konno, Sanai. Judge of the Sendai District Court, Japan. Richardson, S.M. Lieutenant. From British military.